As a satire, Flatland offers pointed observations on the social hierarchy of Victorian culture. 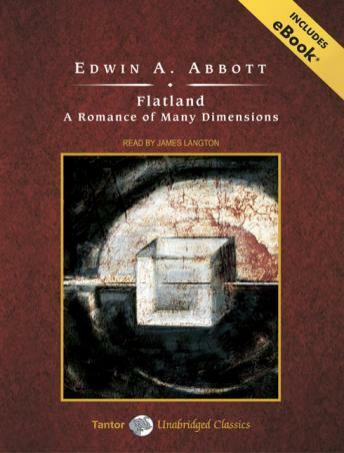 However, the novella's more enduring contribution is its examination of dimensions; in a foreword to one of the many publications of the novella, noted science writer Isaac Asimov described Flatland as 'the best introduction one can find into the manner of perceiving dimensions.' As such, the novella is still popular amongst mathematics, physics, and computer science students. The story is about a two-dimensional world referred to as Flatland. All existence is limited to length and breadth in Flatland, its inhabitants unable even to imagine a third dimension. The amiable narrator, A Square, provides an overview of this fantastic world-its physics and metaphysics, its history, customs, and religious beliefs. But when a strange visitor mysteriously appears and transports the incredulous Flatlander to Spaceland, a land of three dimensions, his worldview is forever shattered.